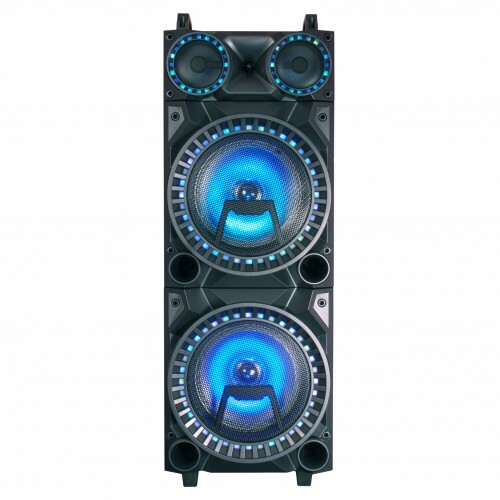 There is nothing like big sound to get the party started. Amp up your music wherever you go with this Portable Party Speaker including Microphone and LED Lights. Use your smartphone, tablet or mobile device to connect via Bluetooth to the speaker. Light up any party or event with the colourful LED lights.